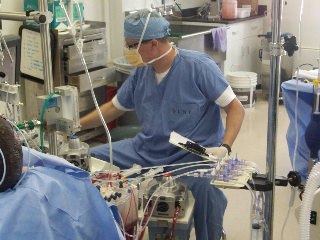 Perfusionists interested in brushing up on skills they are no longer familiar with, before they use them in the operating room, can attend a skill refresher course. Has it been 20 years since you used a centrifugal pump? Are you contemplating the use of VAVD or RAP at your institution? Do you want to run a few cases with your electronic data management system before you have to use it with a patient? Interested in trialing that new pump base before you commit to buying it? You can practice these and other skills in a high fidelity environment. Through simulation you can practice good technique and fully explore and understand the ramifications of bad techniques before you have to use the skills on your patients.